Thanks to Air Canada's direct flights between Montreal and Bordeaux starting in June 2019, Nouvelle-Aquitaine has never been so close to home! In south-west of France, Nouvelle-Aquitaine brings to mind famous sites and brands such as Bordeaux and la Cité du vin, Lascaux and the Dordogne valley (each of these attraction greeted over 500.000 the very first year they opened), Biarritz and the Pays Basque, Poitiers and Futuroscope, Cognac, Pau and the Pyrenees, Limoges and its fine crafts. 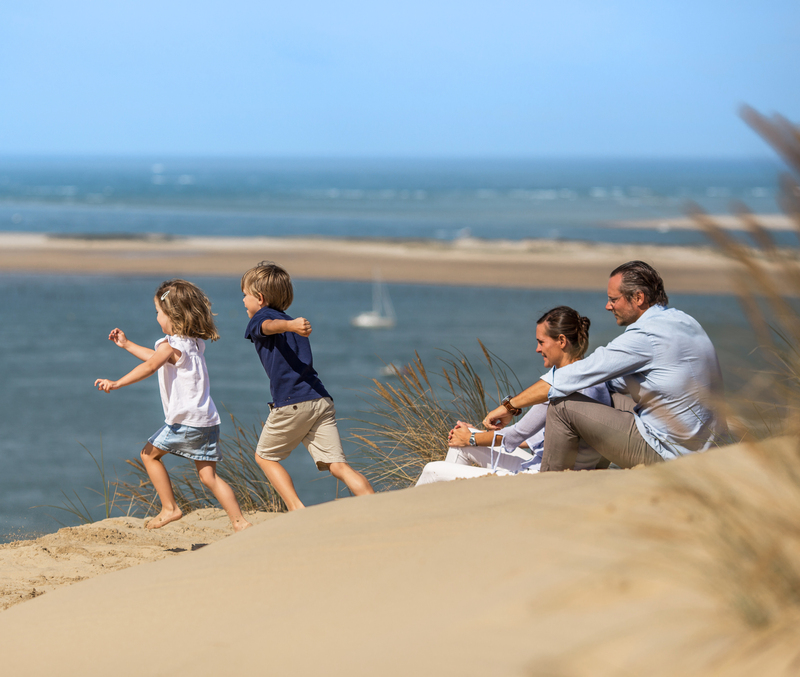 Our region offers visitors a 750 km sandy coastline with ports from Bayonne to La Rochelle, the Pilat dune watching over Arcachon Bay from its 110 metre peak, and the Charentes islands (Ré, Oléron…). The diversity of our holiday offers attracts over 27 million visitors each year and we aim to greet 32 million tourists by 2020. The people of Nouvelle-Aquitaine share a common spirit of celebration, hospitality and gastronomy: a “good life” spirit found on our tables, with our delicacies and tableware art. We look forward to greeting you and to sharing the Nouvelle-Aquitaine spirit with you ! Registered on UNESCO’s World Heritage List, the city is famous worldwide for its Bordeaux wines and Bordelais vineyards, especially since the 18th century: Bordeaux’s golden age. Located along the Garonne riverside, it is the symbol of French art de vivre. 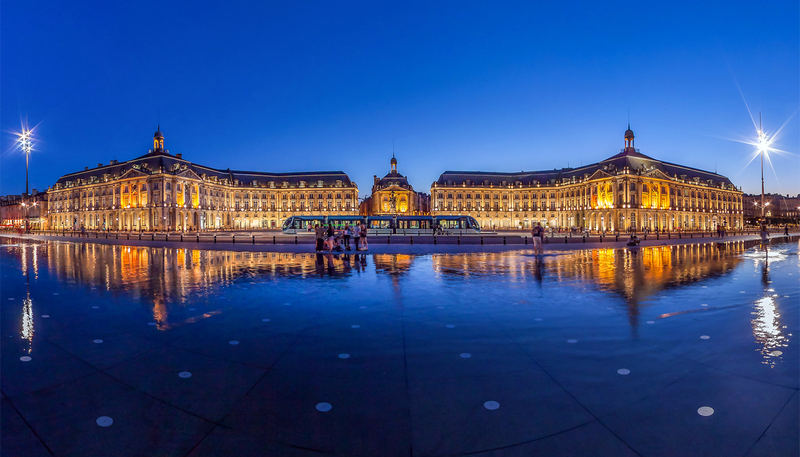 Acknowledged as the « European Best Destination 2015 », as the New York Times’ number 2 « Place to go in 2016 » and as Lonely Planet’s « Top City to visit » in 2017, Bordeaux (External link) has become a popular destination for tourists worldwide, all year long. The Nouvelle-Aquitaine coastline is over 720 kilometres long. It impresses visitors with the beauty of its fine sand dunes along the Atlantic Ocean. The backdrop is a gigantic forest of maritime pine trees. Discover typical seaside resorts, delightful islands (Ré, d’Aix, etc...), exceptional cultural heritage (La Rochelle, Rochefort, Bayonne, etc… ) and unique natural landscapes (Arcachon Bay, The Marais Poitevin and Europe’s highest sand dune : Dune du Pilat). So many reasons which led Conde NastTraveller to select Ile de Ré, Cap-Ferret and Biarritz as « France and Europe’s Best seaside destinations » in 2017 ! Located between France and Spain, the Pyrenees national park is famous worldwide for its peaks : major stages of the Tour de France cycling race. In Pau, visitors are invited to take a stroll in the castle where Henry the 4th, King of France and Navarre was born. His emblematic dish, « poule au pot » (boiled chicken) was served with Jurançon wine. The Dordogne Valley (External link) , a UNESCO site, is one of the world’s largest biosphere reserves. Its unique landscapes with steep cliffs dotted with splendid castles, its prehistoric caves, picturesque classified villages, etc... make it an exceptional destination. Located in the nearby Vézère Valley, the new Lascaux site takes visitors on a journey back in time, 18.000 years ago, to meet History’s first artists. Just 90 minutes from Bordeaux, Cognac (External link) , the town where King François I was born, invites you to discover its golden-amber nectar, a product of excellence descended from an ancestral know-how : the master of “spirits”. The finest Cognac houses, Hennessy, Martell, Courvoisier, etc... greet you to share the secrets of their skills and trade. Just 1 hour from Bordeaux and 80 minutes from Paris, discover a city dear to Eleanor of Aquitaine, who was Queen of France, then Queen of England in the 13th century. Poitiers (External link) boasts an exceptional ensemble of Romanesque art sites and monuments, which evoke a rich medieval past. Do not miss the nearby UNESCO registered Saint-Savin Abbey! You can also enjoy a visit to Futuroscope, one of France’s main theme parks. Limoges (External link) has recently been awarded the title of « UNESCO creative city », thanks to its porcelain, which can be found on the world’s most prestigious dinner tables. Visit the Adrien Dubouché National Porcelain Museum and famous porcelain manufactures such as Bernardaud, Haviland… The international reputation of Aubusson (External link) tapestries has been acknowledged by a registration on UNESCO’s Intangible World Heritage List. Do not miss the town’s famous international tapestry venue : la Cité internationale de la tapisserie ! La Rochelle (External link) has always been turned towards the ocean ! Enjoy a stroll on the Old Port, admire its two towers : a true tribute to the town’s multisecular history, who witnessed the departure of many explorers! Do not miss the famous La Rochelle Aquarium. Seafood fans will adore La Rochelle and its amazing seafood platters. Make the most of your stay by exploring the picturesque Ile de Ré (External link) with its whitewashed low houses, hollyhocks, bright and colourful shutters , great blue skies : 30 kilometres between the ocean, land and sky !